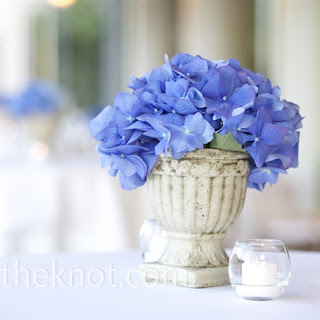 Sarah Merrill of Suite Blooms is back with another set of wedding tips! Take it from someone who’s been there… Thanks Sarah for these great little nuggets of wisdom! TIP: Eat something. You are nervous, pressed for time, and have to look PERFECT, so it would make sense to skip breakfast and or lunch – right? Well maybe not. Your mind isn’t clear when you are hungry – so you are more likely to forget something – like your vows. Additionally, being hungry can make you grouchy and more prone to be impatient with your friends and family. Plan ahead and pack something simple, fresh, and healthy that will give you energy but will avoid making you feel too full. TIP: Each time a photo is about to be taken, think about something that you are truly happy about. Your photographer will probably be reminding you “Smile! You are getting married today!” But with the tight schedule, the last minute worries, and the pain your shoes are causing, a smile may not come naturally. Make a mental list of a few things that make you smile every time. Maybe it’s how proud you are of your little sister’s accomplishments in school, or an inside joke that resulted from a crazy night out with friends. Just relax – your joy will show through. 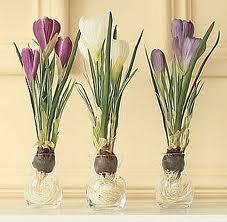 TIP: Hold your bouquet low as you walk down the aisle, and during photographs. 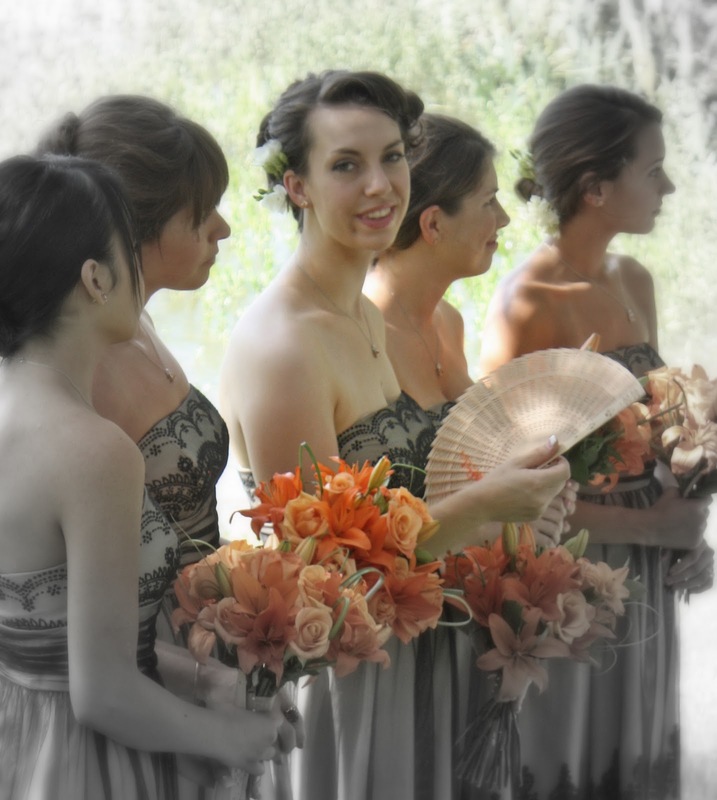 Many brides and bridesmaids tend to carry their bouquet too high. When you hold your bouquet with your elbows bent at a 90 degree angle, you hide both the embellishment on your dress and your great figure! 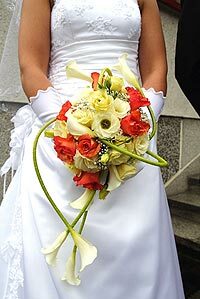 Carrying your bouquet as low as you comfortably can will show off your waist, your dress, and will flatter your figure. Here’s a tip: aim to keep it no higher than the level of your belly button. This bride has her arms relaxed, which makes her whole silhouette flow beautifully. Photo from www.margaretmoriarty.com. The posture of this bride gives off a nervous and stiff feeling. Photo from http://martin.dirlewanger.net/pictures/wedding/images.html. TIP: Take time to enjoy the day. You have heard the saying “Stop and smell the roses.” Your wedding day will be a blur and when it is over, you will only have memories and photographs. So take the time to create the memories. Dance with your grandfather. Spend a moment giggling with your flower girl. And take a few private moments with your groom to just enjoy being Mr. &amp; Mrs. TIP: Don’t overindulge. 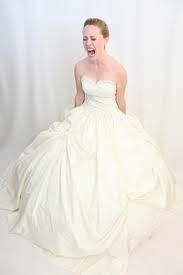 Whether you are the a glass of champagne type, or a Coors Light girl, take it easy on your wedding day. You’ve spent your life dreaming of this day and you will want to remember it, instead of waking up with a pounding headache and no idea why your dress is ripped or worse. This photo speaks for itself. Photo from www.blogs.seattleweekly.com. TIP: Relax. All the planning is over, and when you look back at this day you will remember the special moments, the smell of the flowers, and the most amazing butter cream ever – unless you stress out about a minor detail that isn’t perfect. A few deep breaths will help you calm down, and can help you avoid acting like the bridezilla that you swore you wouldn’t become. Yes, wedding planning is stressful, but don’t let it get to you like this. Photo from www.heelsaboveweddings.com. TIP: Last week I threw in a tip from my experience as a bride, and this week I have one more for you. Keep track of your purse and cell phone. My new husband and I were back at my apartment when I realized that my cell phone was no where to be found. And since we would need it to wake us up for our honeymoon flight, we had to find it. Unfortunately, I didn’t have a land line, and he didn’t have a cell phone, so we wound up driving across town to where his groomsmen were staying to use a phone to find out it was at his parents’ house. They’d found it and saved it from getting locked in the reception venue. The whole evening wound up being a bit awkward and was a far cry from what I’d expected. Bottom line: don’t forget your cell phone. Thanks so much Sarah! We really appreciate the great bits of knowledge Sarah shares with us weekly. She does a wonderful job working with couples — not only on their floral arrangements, but also in keeping the whole process together and flowing smoothly! Check her out on Facebook at SuiteBlooms !! 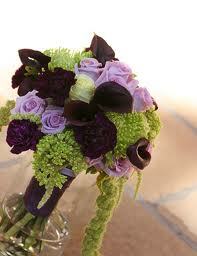 Sarah Merrill of Suite Blooms &amp; Designs is back with another gem of inspiration! Every couple struggles with budget at some point, no matter the budget of your wedding. There are lots of creative ways to make your budget s-t-r-e-t-c-h…Sarah shows you some great ideas! Be sure to visit Sarah on Facebook to learn more about her Cheyenne-based floral design business! 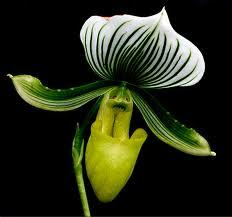 Photography in today’s blog is provided by Sarah Merrill. 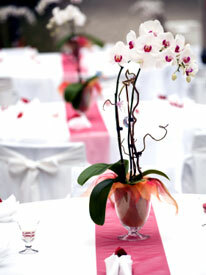 The centerpieces at your wedding may be the most important element of reception décor. 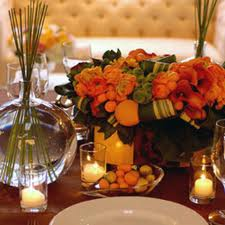 Each centerpiece will be in your guest’s view for a large portion of the night, and naturally you want them to be perfect. So you begin the search through bridal magazines and find a few that you like… they are so creative, so magnificent, so stunning, soooooo pricey! 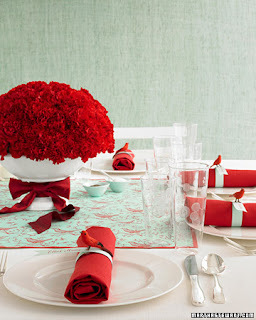 It is easy to get your heart set on a specific centerpiece, only to find out that it is beyond your budget. So now what do you do? Rework your whole budget? 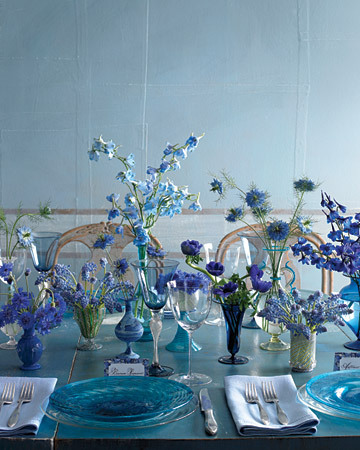 Give up and forego centerpieces altogether? I’m Sarah Merrill, owner of Suite Blooms &amp; Designs, and I’m here to help you fulfill your dreams of having a beautiful reception with amazing centerpieces without breaking the bank. I’ve gathered three great ways to stretch your floral décor dollars, and I’ll have another three ways for you next week. 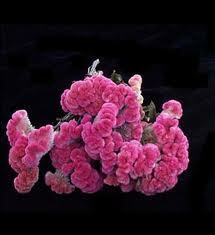 Blooms submerged in water make a striking impact. This unexpected display is truly beautiful. 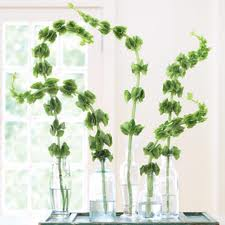 The water in the vases will magnify the blooms making them seem larger, and displaying the flowers behind the glass makes even simple blooms seem exquisite. 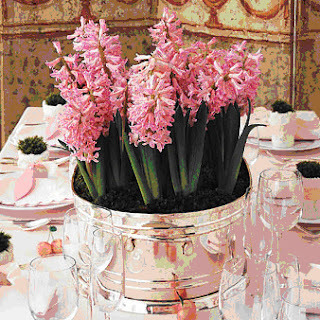 A grouping of cylinder vases at different heights with one type of flower in each is very effective, and will work at round or banquet style tables. Try placing the grouping on a mirror to double the impact, and place a floating candle atop each arrangement for a subtle glow. 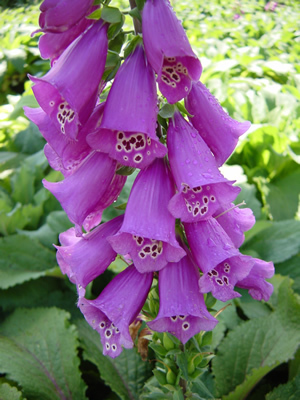 A single flower in a vase may seem dull at first, but group several together and you have a beautiful informal centerpiece. By using a mixture of flowers and types of vases, your florist can create this impressive, yet down to earth look even on a strict floral budget. 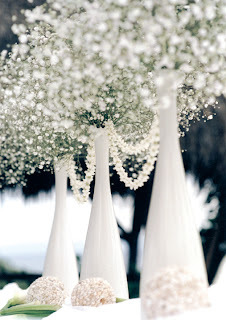 Are you having a Graphic Modern reception but like the single-flower look? 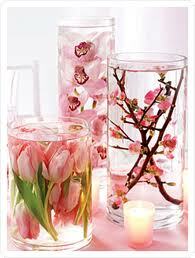 Try using only one type of structured flower such as Bells of Ireland or Gerbera Daisies in clear glass vases. The best part is that you don’t have to wonder what to do with 60+ bud vases after the wedding – just send them home with your guests as favors! 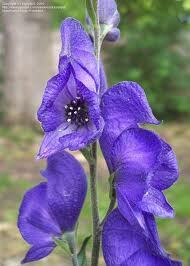 Pictured above: Blue Delphinium, Corn Flower, Grape Hyacinth &amp; Anemones. If you have been dreaming of large showy centerpieces all your life (or at least for the last 6 months), but know that your budget is already stretched thin, then maybe it’s time to think beyond flowers. 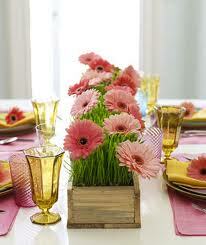 A large floral centerpiece will often cost $170 or more! But don’t worry, achieving that grand look on a budget is not impossible! Discuss with your florist how substituting fruits and or vegetables for flowers in your arrangements will affect their cost. It’s easy to find fruits and veggies that will work with your color scheme and add texture to the arrangement. 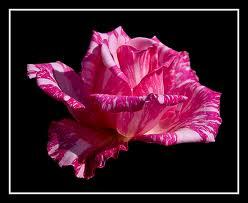 Fruits and vegetables are much less expensive than blooms and offer the same live, vibrant feel as fresh flowers. Most are also substantial in size and therefore take up room in your centerpieces that would otherwise have to be filled with pricey flowers. Here is a short list of some that can look great: lemons, limes, tangerines, kumquats, apples, cranberries, pomegranates, grapes, pears, cauliflower, kale, and artichokes. Pictured above: Mango Callas, Kermits, Ranunculus, Variegated Aspidistra, Salal with Kumquats and Tangerines. 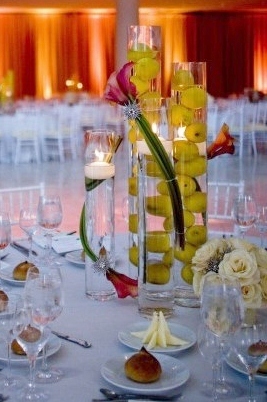 Pictured above: Submerged Green Apples surrounded by a few stems of calla lily per vase. 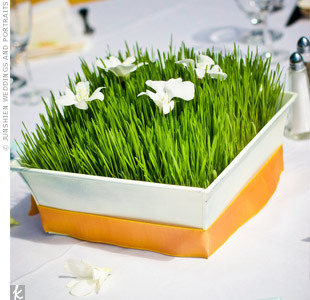 Next week I will discuss a few more money saving centerpiece ideas… Until then – Happy Planning! Thanks Sarah! WOW, these are fantastic tips! I hope it helps get your creative and budget-stretching juices flowing — no matter your budget, you can create a beautiful wedding that fits you &amp; your fiance’s own unique personality! ‘Til Next Time…I’m getting MY creative juices flowing!